Remington Ammunition Pheasant Lead Shotgun Shells for Hunting/Target. 12 Gauge, 2.75", 1-1/4 oz. Case price, 10 Boxes with 25 Shells/Box, 250 Shells Total. 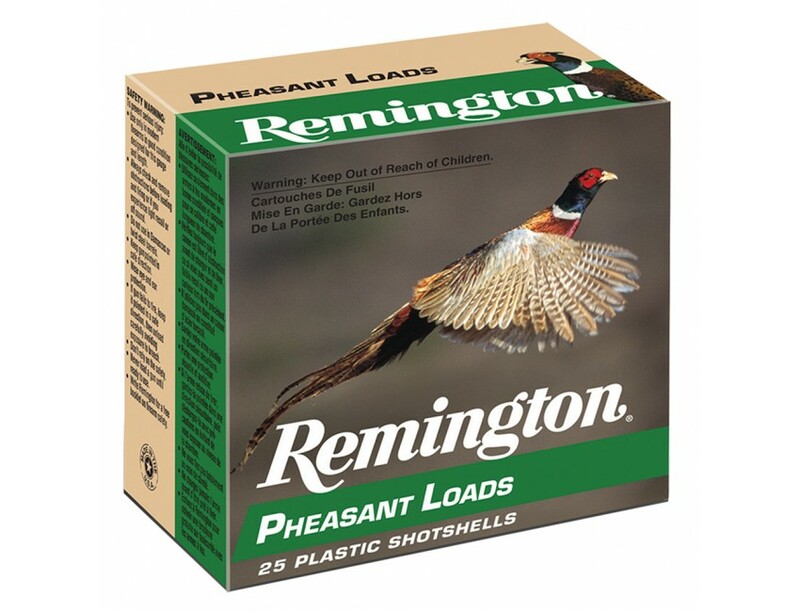 For the broadest selection in game specific Upland lead shotshells, Remington Pheasant Loads are the perfect choice. Their high velocity and long range performance are just right for any pheasant hunting situation. Shurshot high base Pheasant Loads (RP12) is a brand of high base that offers an ideal balance of velocity and payload while its lower recoil helps to minimize fatigue over a long day in the field.